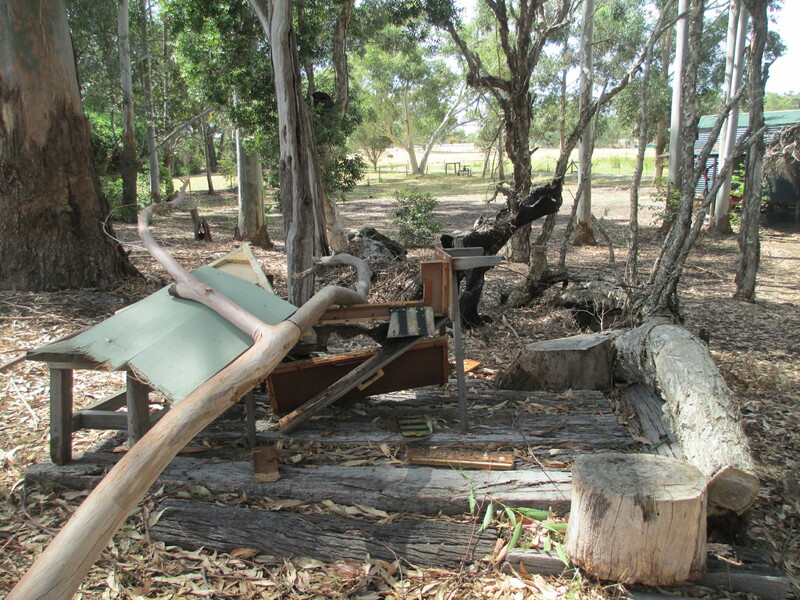 After hearing a branch fall in the night last week, we were devastated to find it had crashed right through our topbar hive, smashing it and the bees. 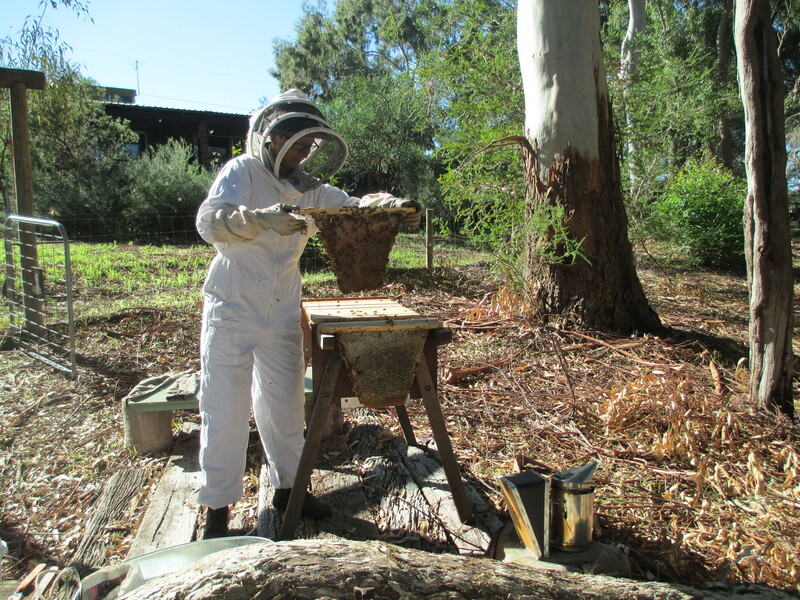 We tried to save as much as we could, using elastic bands to attach the brood comb and honey comb to some spare Langstroth frames we had. We managed to salvage enough comb to fit most of the brood and some honey in the full depth Langstroth super, plus some honey in the WSP super. 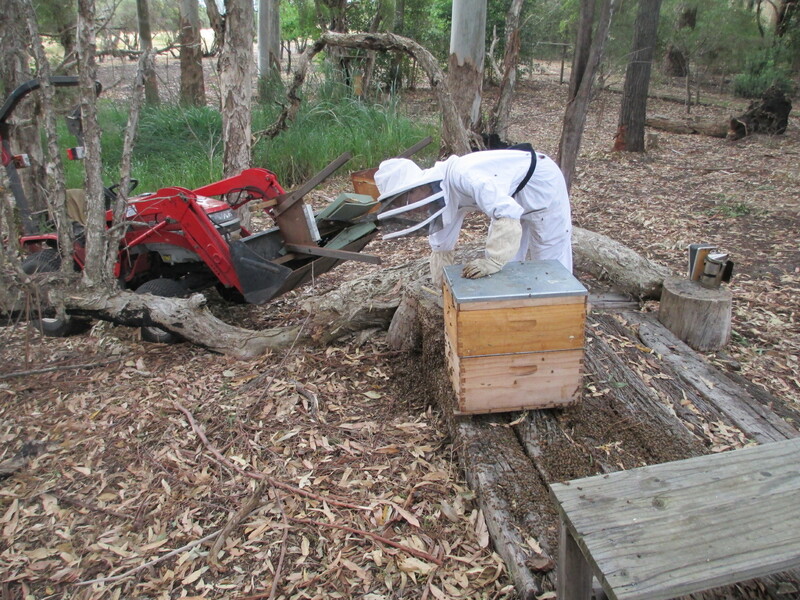 The transfer was relatively successful with the bees all around eventually moving into the hive. We have observed over the week since this happened, and the bees are foraging, but unfortunately there is no pollen coming in that we can see. This means probably the brood died (it would have been out of the hive most of the night), and the queen died (we couldn’t see her during the salvage but hoped she was there). As soon as the weather permits (it is unseasonably stormy and wet in Perth! 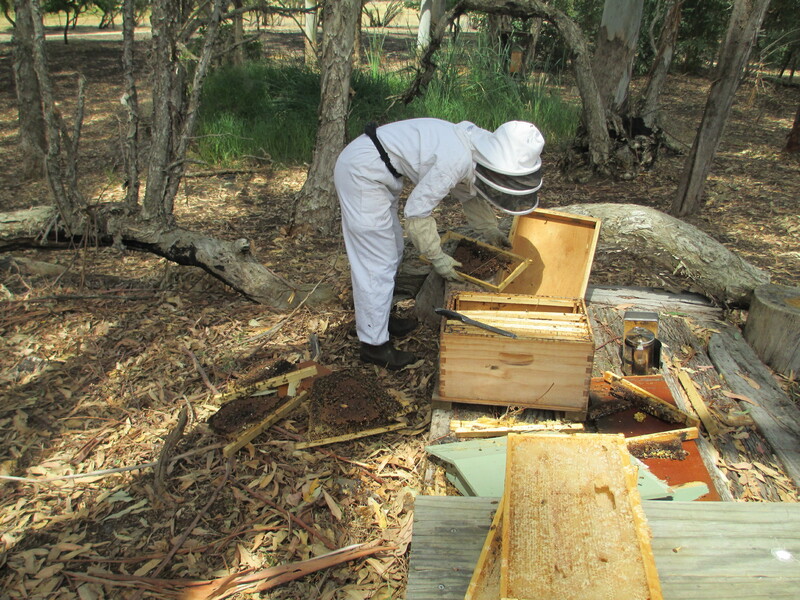 ), we will take a frame of brood from our other Langstroth and place it in this one, hoping the bees will develop a queen. 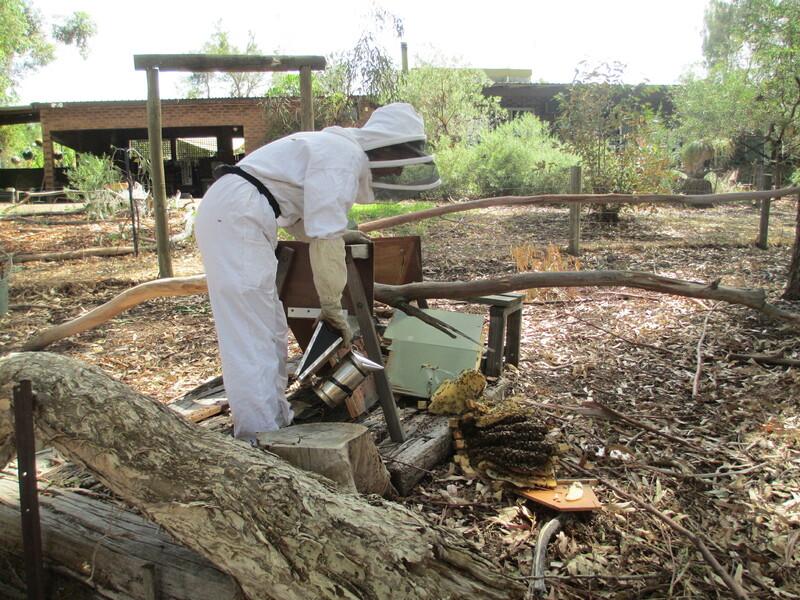 Our next plan is to develop a ‘Long Lang’ or horizontal hive, and we will transfer the frames into that. 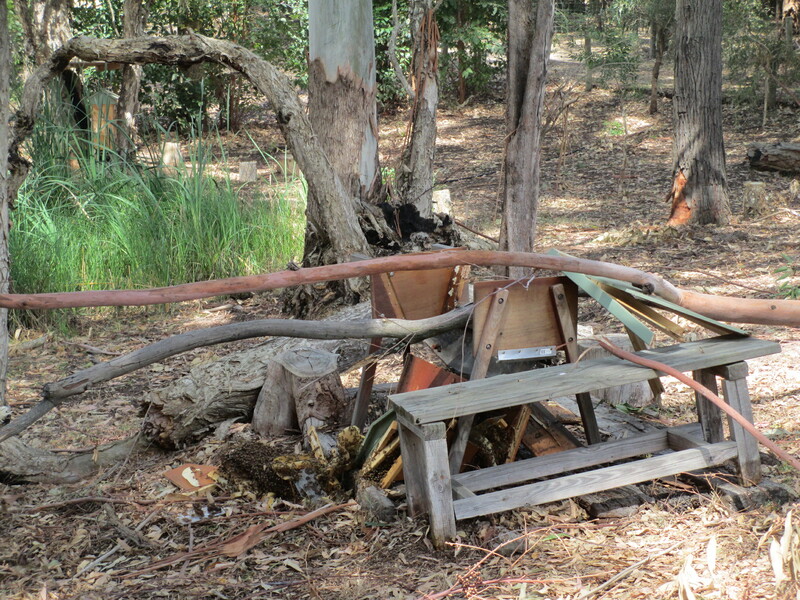 We are also hoping to be able to rebuild the topbar!